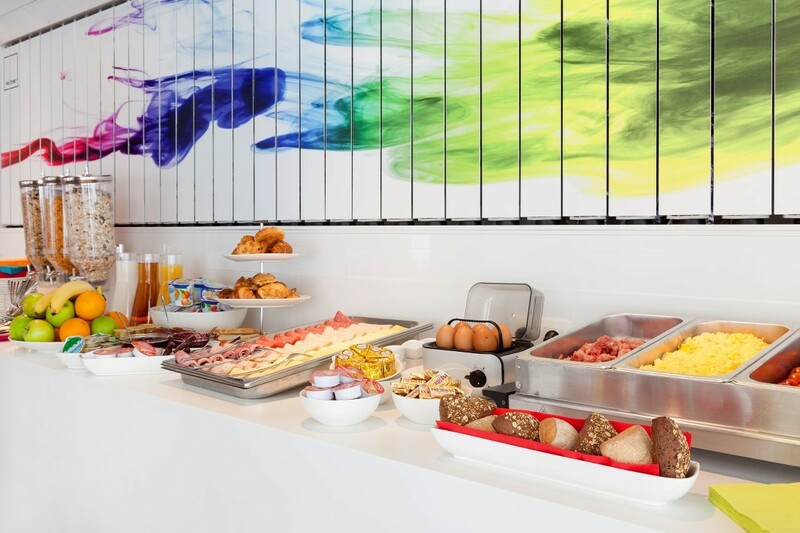 Centrally located in the heart of Brussels, the colourful Pantone Hotel is a work of art in itself, inspiring guests with iconic colourful design and decor. Effortlessly combining a chic colourful design aesthetic with comfortable, well-appointed guest rooms, this boutique hotel is a must-stay for fans of design. Situated just steps from the shopping and business district of Avenue Louise, the hotel’s lobby androoftop terraces are destinations unto themselves within the bustling city centre of this cosmopolitan location. 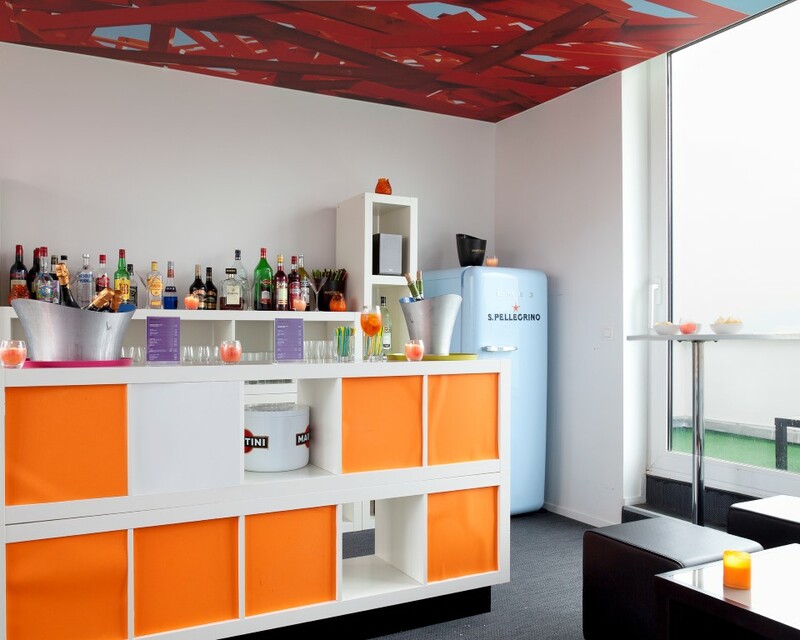 Ideal for cosmopolitan adventurers, the Pantone Hotel also caters for small corporate meetings and business conferences, cocktail receptions and special events. The initial idea for creating the Pantone Hotel stemmed from an orange Pantone bag which interior designer Michel Pennerman bought eight years ago in Brussels, during an exhibition of the first products to be developed from and labelled Pantone. 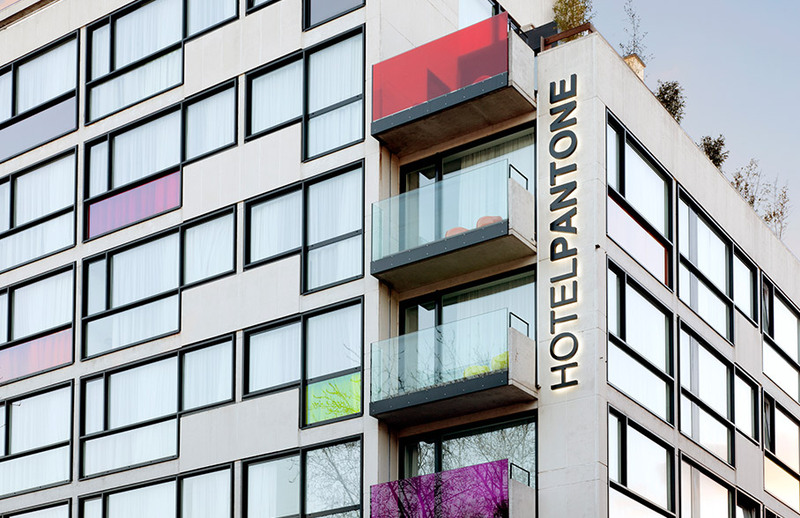 Along with Belgian architect Olivier Hannaert, Michel Pennerman designed the Pantone Hotel, with one colour per floor (from the first to the seventh floors), corresponding to the composition of the light spectrum. Through a licensing partnership with British developers, the Pantone Hotel is part of Pantone Universe, an expanding line of colourful, design-inspired products for consumers. From Pantone Chip inspired mugs created by W2 to Sonia Spencer cufflinks and Alpa stationery and bags, and folding chairs and metal storage boxes by Seletti, the hotel offers the largest selection of Pantone Universe products worldwide, all available for purchase at the hotel. Each of the guests rooms are works of art, with white walls and bedding providing the perfect canvas for vibrant pops of colour. 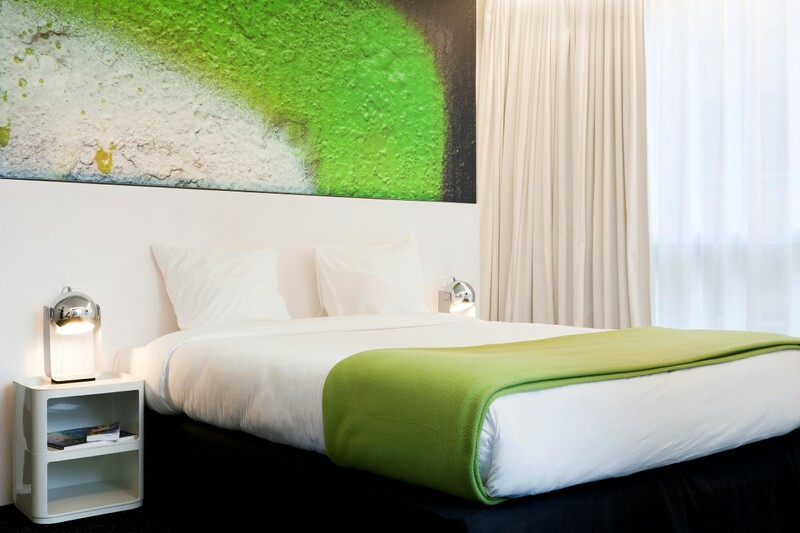 The rooms also feature photographic installations created by renowned Belgian photographer Victor Levy, including a spectrum of vibrant Pantone Colours to create a unique ambiance in each room and adding to the artistry. There are 59 rooms and suites, each patterned after one of the seven distinct Pantone Colour palettes and many also offer unparalleled views of Brussels. There are two custom, top-floor meeting rooms available for private events and other functions. 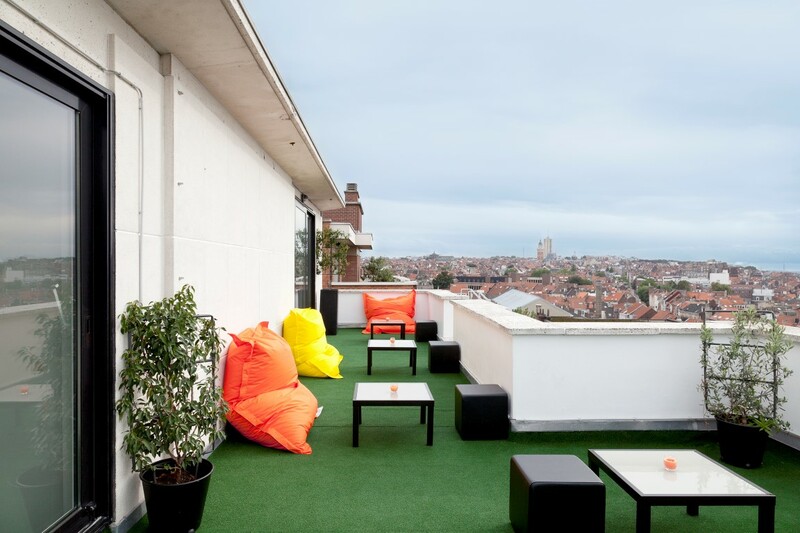 A rooftop terrace provides the perfect setting for cocktail parties and events, complete with its own bar it can be rented for private functions of up to 100 guests. There are even Pantone Colour consultants available by appointment, ideal for informal colour consultations or to present educational seminars on colour psychology and trends; and the hotel’s library contains only books about colour. 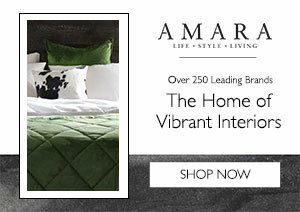 Rooms and packages can be booked by visiting their website here.